Newcomer numbers arriving in New Zealand have remained steady at the start of 2016 with the latest data showing there was a net gain of 6,100 migrants in February, unchanged from January. The figures from Statistics New Zealand also show that monthly net migration has remained relatively steady, fluctuating around the 6,000 mark since October 2015. New Zealand’s annual net gain of migrants has continued to rise, with an unadjusted figure of 67,400 in the year to February 2016, the 19th consecutive month to show a record annual net gain. Migrant arrivals reached a new high of 124,200 and departures fell very slightly to 56,900. Net migration from Australia continued to rise, with a net gain of 1,600 migrants. This is the highest annual net gain of migrants from Australia since the September 1991 year and the fifth consecutive month to show an annual net gain. Of the arrivals in the 12 months to February 2016 some 30,700 were New Zealand citizens, making up one quarter of all migrant arrivals, 13,800 were from India with almost three quarters having student visas, 13,500 were from the UK with almost half having work visas. Visitor arrivals numbered 373,400 in February, up 29,900 or 9% year on year and holidaymakers were up 18,000 or 9% from February 2015. “An increase in holidaymakers, coupled with 2016 being a leap year, helped boost visitor arrivals to a record high for a February month,” said population statistics manager Jo-Anne Skinner. In the year to February 2016 visitor arrivals hit a record 3.2 million, up 10%, of which half were holidaymakers and of these, Australia contributed almost a third with 526,700 visitors. 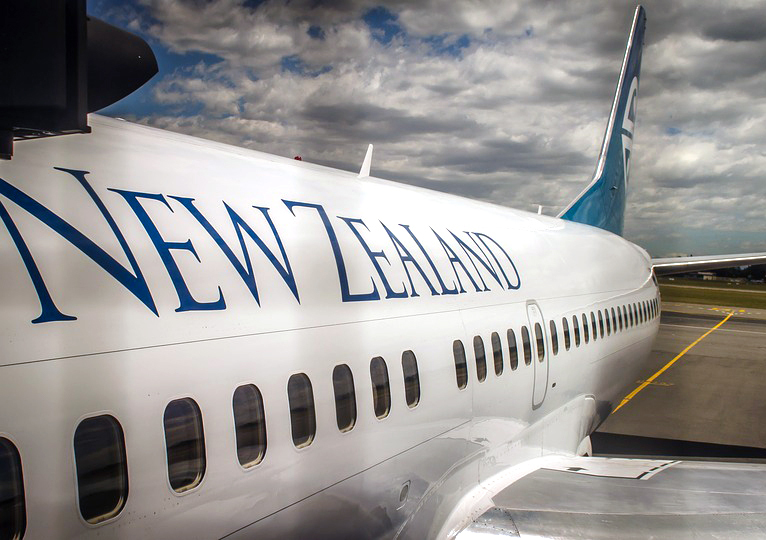 New Zealand residents took 127,100 overseas trips in February 2016, up 3% year on year. Trips to Fiji were up 1,600 or 36% and to Tonga up 1,500 or 136%. New Zealand residents took a record 2.42 million overseas trips in the February 2016 year, up 6% from the February 2015 year. Departures to Australia contributed to the record, with an increase of 41,800 trips compared with the February 2015 year. Meanwhile, New Zealanders have chosen not to adopt a new flag. They decided to stick with the current flag which includes the Union Jack rather than a modern design showing the country’s national plant. There has been criticism that too much money was spent on referendum on the future of the flag but Deputy Prime Minister Bill English defended what he called “a robust democratic process”. “This has allowed us to discuss who we are and how we want to be represented on the world stage. This process has engaged Kiwis in their homes, in their schools and in their workplaces, here in New Zealand, and right around the world, it is something we’ve all had a point of view on,” he added.